Slay the Spire is a concoction of a roguelike, card game, and turn-based fighting system all glued together by a beautiful fantasy esk artwork. I’ve spent around 15 hours in game and I’ve loved most of it, there were few lull periods between big, edge-of-your-seat combats which work to keep the game spontaneous and repayable. As I stated before, the game is beautiful, the art for almost every creature, monster and boss are amazing. There are a few creatures and bosses which either seem lazy or out of place, but for the most part, this game is worth buying for the art itself. Performance wise, it runs smoothly on my laptop (Asus GU501) which s not very difficult seeing as the game mainly consists of basic animations and minimal movement of the sprites. However, at times I did experience freezes, which did not result in a game crash which were only slightly annoying. The Silent – My favorite, has a good amount of damage dealing cards but an excellent array of defense focused cards along with the blitzkrieg mentality of having more cards in your hand at once. The Defect – I haven’t played this class much, however, it seems very fun as it utilizes a whole new way of damage dealing, completely separate from the Silent of the Ironclad which utilizes orbs which deal different effects in addition to what you play using your cards. 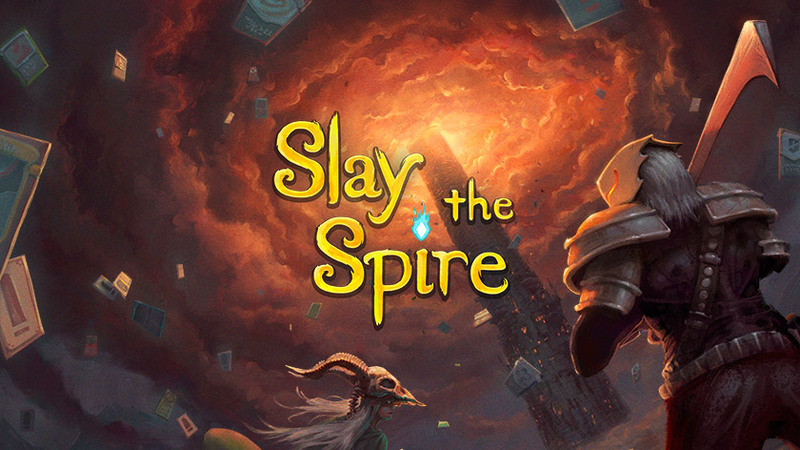 In conclusion, Slay the Spire is a very fun and enjoyable experience between its roguelike elements and in-depth card system in an otherwise simplistic (relatively speaking) game. The game is almost infinitely replayable because of the amount of depth it has which is also mixed in with a literal luck of the draw chance system make the game unique on every playthrough. Though the game has its flaws, I don’t think many of them are too serious or deal breakers as I really had to look for any errors. The only main thing I feel as though could benefit the game the inclusion of a list of all the effects and the specifics of how they work (for new players mainly) so, for example, you know that poison takes effect at the begging of your turn. Another thing that would be useful is a break down of all the effects on a creature and how they are interacting (along with the effects n you) so that you can see the exact damage you’re doing and what you need to do (this feature may be in the game already, but even if it is, it needs to be more obvious or pointed out). At $15.99, I think it’s worth picking up, preferably if it’s on a sale for anything around $11.99. If I had to put a number to it (even though I hat the numbering system) I would give it an 7/10 (5/10 is an AVERAGE GAME, like Madden and other games, it is not Subpar), the only reason I don’t give this an 8 or higher is because of it being in early access, giving the game a lot of time to swing around. If there is anything new that I think warrants an update, it will be updated here with a new date.